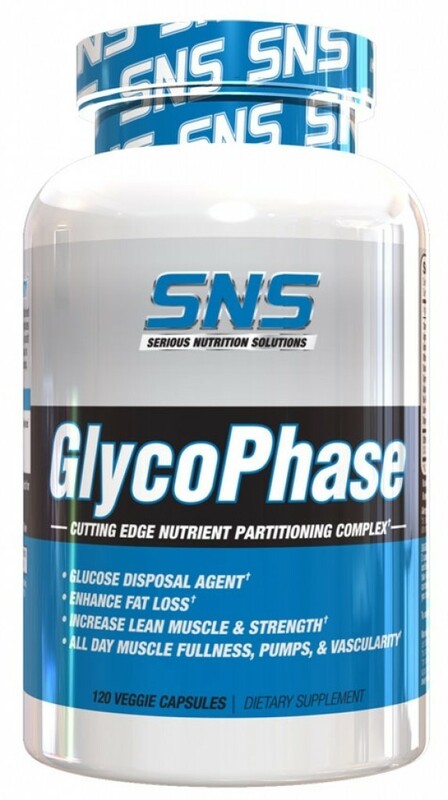 The new 2018 formula of GlycoPhase is here, and it looks like it's playing for keeps against the carbs! 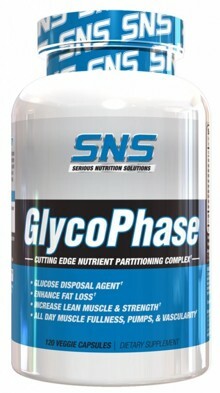 For Dramatic Pumps, Lean Muscle Gains, & Fat Loss! 1. Effects of insulin on lipolysis and lipogenesis in adipocytes from genetically obese (ob/ob) mice. (1979). Biochemical Journal, 184(1), pp.107-112. 2. Froesch, E. (1967). The physiology and pharmacology of adipose tissue lipolysis: Its inhibition and implications for the treatment of diabetes. Diabetologia, 3(6), pp.475-487. 3. Insulin Inhibits Lipolysis in Adipocytes via the Evolutionarily Conserved mTORC1-Egr1-ATGL-Mediated Pathway. (2013). Molecular and Cellular Biology, 33(18), pp.3659-3666. 4. National Institutes of Health (NIH). (2018). NIH study shows how insulin stimulates fat cells to take in glucose. [online] Available at: https://www.nih.gov/news-events/news-releases/nih-... [Accessed 17 Apr. 2018]. 5. Baskaran, K., Ahamath, B., Shanmugasundaram, K. and Shanmugasundaram, E. (1990). Antidiabetic effect of a leaf extract from Gymnema sylvestre in non-insulin-dependent diabetes mellitus patients. Journal of Ethnopharmacology, 30(3), pp.295-305. 6. Dehghan, F., Hajiaghaalipour, F., Yusof, A., Muniandy, S., Hosseini, S., Heydari, S., Salim, L. and Azarbayjani, M. (2016). Saffron with resistance exercise improves diabetic parameters through the GLUT4/AMPK pathway in-vitro and in-vivo. Scientific Reports, 6(1). 7. Fuangchan, A., Sonthisombat, P., Seubnukarn, T., Chanouan, R., Chotchaisuwat, P., Sirigulsatien, V., Ingkaninan, K., Plianbangchang, P. and Haines, S. (2011). Hypoglycemic effect of bitter melon compared with metformin in newly diagnosed type 2 diabetes patients. Journal of Ethnopharmacology, 134(2), pp.422-428. 8. Golbidi, S., Badran, M. and Laher, I. (2011). Diabetes and Alpha Lipoic Acid. Frontiers in Pharmacology, 2. 9. Kang, C., Lee, H., Jung, E., Seyedian, R., Jo, M., Kim, J., Kim, J. and Kim, E. (2012). Saffron (Crocus sativus L.) increases glucose uptake and insulin sensitivity in muscle cells via multipathway mechanisms. Food Chemistry, 135(4), pp.2350-2358. 10. Kang, S., Kim, C., Jung, H., Kim, E., Song, H. and Lee, J. (2017). Agmatine ameliorates type 2 diabetes induced-Alzheimer's disease-like alterations in high-fat diet-fed mice via reactivation of blunted insulin signalling. Neuropharmacology, 113, pp.467-479. 11. Lee, W., Song, K., Koh, E., Won, J., Kim, H., Park, H., Kim, M., Kim, S., Lee, K. and Park, J. (2005). a-Lipoic acid increases insulin sensitivity by activating AMPK in skeletal muscle. Biochemical and Biophysical Research Communications, 332(3), pp.885-891. 12. Leung, L., Birtwhistle, R., Kotecha, J., Hannah, S. and Cuthbertson, S. (2009). Anti-diabetic and hypoglycaemic effects of Momordica charantia (bitter melon): a mini review. British Journal of Nutrition, 102(12), p.1703. 13. Liu, F., Kim, J., Li, Y., Liu, X., Li, J. and Chen, X. (2001). An Extract of Lagerstroemia speciosa L. Has Insulin-Like Glucose Uptake–Stimulatory and Adipocyte Differentiation–Inhibitory Activities in 3T3-L1 Cells. The Journal of Nutrition, 131(9), pp.2242-2247. 14. Miura, T., Takagi, S. and Ishida, T. (2012). Management of Diabetes and Its Complications with Banaba (Lagerstroemia speciosaL.) and Corosolic Acid. Evidence-Based Complementary and Alternative Medicine, 2012, pp.1-8. 15. Poh, Z. and Goh, K. (2009). A Current Update on the Use of Alpha Lipoic Acid in the Management of Type 2 Diabetes Mellitus. Endocrine, Metabolic & Immune Disorders - Drug Targets, 9(4), pp.392-398. 16. Shanmugasundaram, E., Rajeswari, G., Baskaran, K., Kumar, B., Shanmugasundaram, K. and Ahmath, B. (1990). Use of Gymnema sylvestre leaf extract in the control of blood glucose in insulin-dependent diabetes mellitus. Journal of Ethnopharmacology, 30(3), pp.281-294. 17. Shay, K., Moreau, R., Smith, E., Smith, A. and Hagen, T. (2009). Alpha-lipoic acid as a dietary supplement: Molecular mechanisms and therapeutic potential. Biochimica et Biophysica Acta (BBA) - General Subjects, 1790(10), pp.1149-1160. 18. Taksande, B., Chopde, C., Umekar, M. and Kotagale, N. (2015). Agmatine attenuates hyperactivity and weight loss associated with activity-based anorexia in female rats. Pharmacology Biochemistry and Behavior, 132, pp.136-141. 19. Yin, J., Xing, H. and Ye, J. (2008). Efficacy of berberine in patients with type 2 diabetes mellitus. Metabolism, 57(5), pp.712-717. 20. Anderson, R. (1998). Chromium, Glucose Intolerance and Diabetes. Journal of the American College of Nutrition, 17(6), pp.548-555. 21. Anderson, R., Cheng, N., Bryden, N., Polansky, M., Cheng, N., Chi, J. and Feng, J. (1997). Elevated Intakes of Supplemental Chromium Improve Glucose and Insulin Variables in Individuals With Type 2 Diabetes. Diabetes, 46(11), pp.1786-1791. 22. Trivalent chromium and the diabetes prevention program. (1997). Medical Hypotheses, 49(1), pp.47-49. 23. Mergenthaler, P., Lindauer, U., Dienel, G. and Meisel, A. (2013). Sugar for the brain: the role of glucose in physiological and pathological brain function. Trends in Neurosciences, 36(10), pp.587-597.